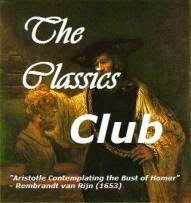 This month's prompt for A Classics Challenge is "to share a memorable quote.......or a few of them.....from what you're currently reading. Try to select the not so well-known." A little more difficult than I thought it would be as, naturally, the best passages in a book by such a popular author are very well-known. So I haven't chosen anything particularly inspiring or thought provoking but just a few random quotes that reflect the author's wit and style.
" Vanity was the beginning and end of Sir Walter Elliot's character; vanity of person and of situation." " ' I should think he must be rather a dressy man for his time of life. Such a number of looking glasses! Oh Lord! there was no getting away from one's self.' "
" 'It is a pity they are not knocked on the head at once, before they reach Admiral Baldwin's age.' 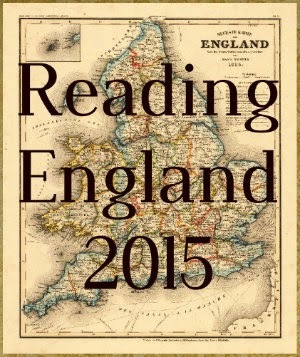 "
' ' Then I am sure Anne had better stay, for nobody will want her in Bath.' "
" He had not forgiven Anne Elliot. She had used him ill, deserted and disappointed him; ' "
" ' Morning visits are never fair by women at her time of life, who make themselves up so little. If she would only rouge she would not be afraid to be seen; ' "
" ....and lingering only as all must, and gaze on a first return to the sea..."
Is that enough to persuade you read Persuasion ? I hope so - it's now my favourite Jane Austen. Great quotes! especially "Then I am sure Anne had better stay." 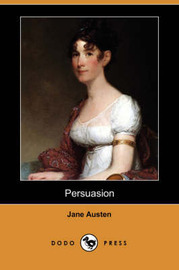 Even with only six books, I have such trouble picking just one Jane Austen - but Persuasion is in the top three. I've been thinking it's time to read through them all again. Anne certainly had to have a great deal of forebearance to put up with her family. Lovely story! I adore this book! I really need to reread it soon. This is the first time I've read it and it's definitely my favourite Austen right now. Loved it. Wonderful! I would like to re-read persuasion, but I'm in the middle of Mansfield Park right now. Oh good! :-) Hope you'll love it as much as I did.